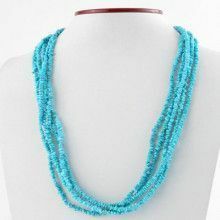 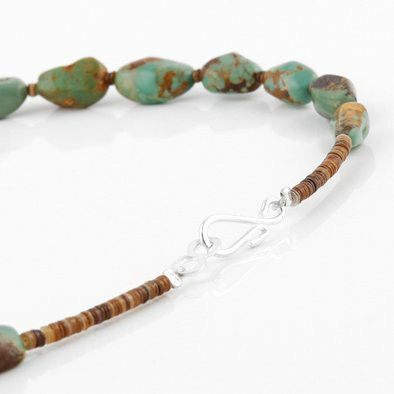 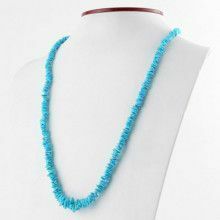 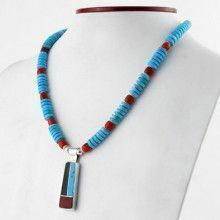 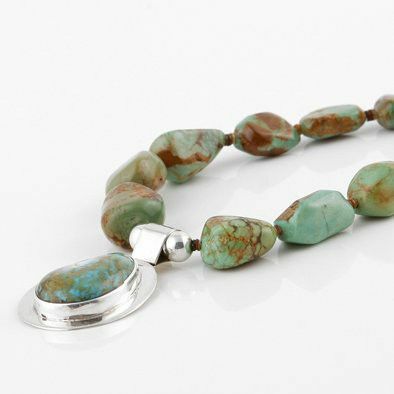 This natural turquoise necklace with a sterling silver pendant is made from New Mextraican turquoise. 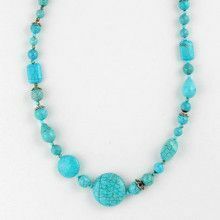 Turquoise from this area has a distinct brownish/green color. 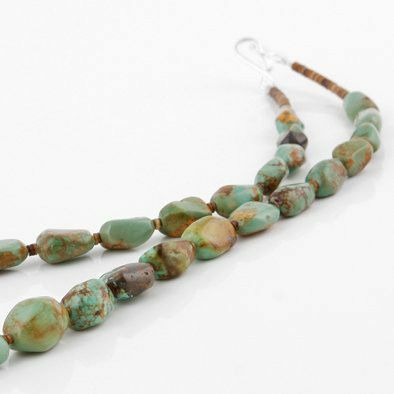 A unique look if there ever was one! 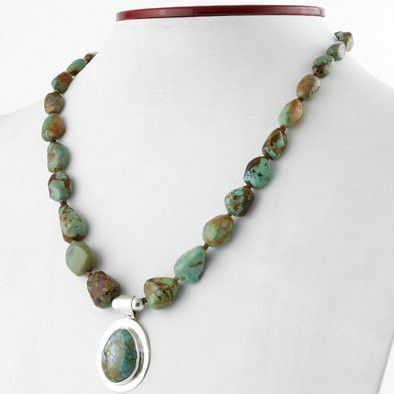 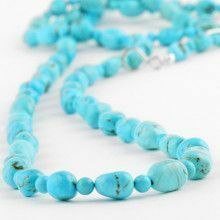 The turquoise stones range from 1/4" long to 3/4" long which the sterling silver pendant measure 1 1/2" long x 7/8 wide. 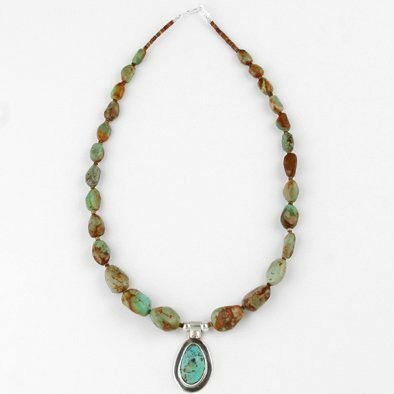 The stone in the pendant measures 7/8" long x 1/2" wide.